Doors Open 7.15pm, kicking off with DJ Mum at 7.30pm. 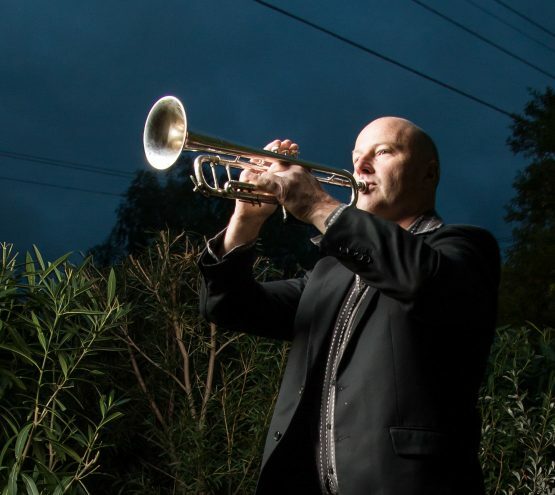 “In 2017, Jack Howard toured the world with Midnight Oil as their trumpeter/multi-instrumentalist. In the long hours of down time along the way, Jack wrote a series of instrumental travelogues and blogs – a kind of musical correspondence from far-flung corners of the globe. Out of this, Jack’s beautiful new record Lightheavyweight was born. Lightheavyweight features Jack’s lyrical trumpet lines and arrangements layered over pulsing beats and a rich sonic palette of squelching synths, slide guitar and heavy bass. Think Gorillaz with brass. On Thursday January 24th at Memo – as part of the venue’s exciting Summer Sounds Of St. Kilda series – Jack is throwing a dance party to celebrate the release of the record. He’ll be joined live on stage by Nicky Del Rey on guitar and piano, Amy Valent Curlis on percussion and Fiona Lee Maynard on vocals, as they play to the record’s sinuous beats. Ash Wednesday will be providing splendid and evocative projections on the big screen. The whole night is going to be an aural and visual feast. Special guests on the evening will be Andrew Duffield (Models) doing a rare and highly-anticipated solo set, James Lee from Black Cab on the decks spinning an awesome post-punk set; and one of Melbourne’s brightest new stars, DJ Mum, weaving an hypnotic live mix. ll this for only $20! See you there. This is the only gig for Jack Howard LIGHTHEAVYWEIGHT Record Launch, better be quick!